Stardew Valley, the hit indie farming game made by one guy in his spare time, is coming to mobile. I’ve dropped dozens of hours into this charming little spiritual successor to Harvest Moon, and now I know how I’m going to spend my next few plane rides. Fortunately it was a huge hit, to Barone’s great surprise and no doubt pleasure, and deservedly so. 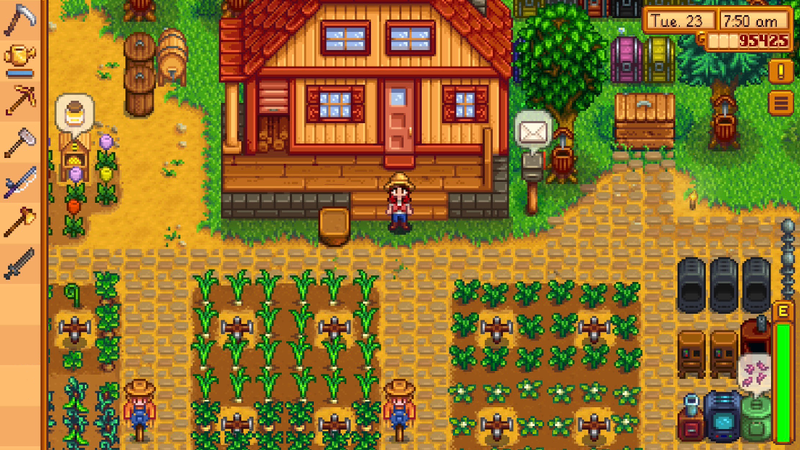 Originally released for the PC, Stardew Valley has since expanded (with the help of non-Barone teams) to the major consoles and is now coming to iOS — undiminished, Barone was careful to point out in a blog post. This game is big, but nothing is left out from the mobile port. Barone has added a lot to the game since its release in early 2016, and the mobile version will include those updates up to 1.3 — meaning you’ll have several additional areas and features but not the multiplayer options most recently added. Those are planned, however, so if you want to do a co-op farm you’ll just have to wait a bit. No mods will be supported, alas. In a rare treat for mobile ports, you can take your progress from the PC version and transfer it to iOS via iTunes. No need to start over again, which, fun as it is, can be a bit daunting when you realize how much time you’ve put into the game to start with. I can’t recommend Stardew Valley enough, and the controls should be more than adequate for the laid-back gameplay it offers (combat is fairly forgiving). It’ll cost $8 in the App Store starting October 24 (Android version coming soon), half off the original $15 price — which I must say was amazingly generous to begin with. You can’t go wrong here, trust me.